Description A Kaleidoscope of colors. Red-brown blooms in South Sound and Quartermaster Harbor, large patches of macro-algae in Central Sound. 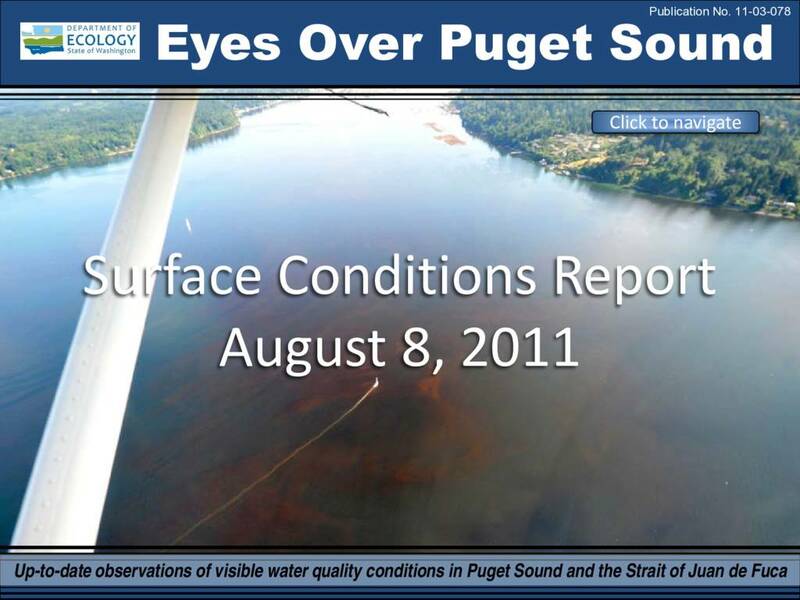 Latest bloom in Central Sound shows signs of fading as waters begin to clear. Oxygen is beginning to decline.